Your face is always on display for others to see. You can’t hide your smile behind long sleeves, baggy jeans, or a hat. If there are things about your smile you’d like to improve, cosmetic dentistry from Hereford Dental Health in Monkton can help. A beautiful smile is essential to a polished appearance. 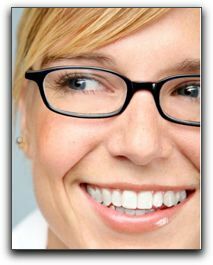 Cosmetic dentistry is not just for people in the public eye, it is for anyone who desires a youthful looking smile. Teeth whitening is one of our most popular procedures. We offer in-office treatment and take-home kits that can dramatically whiten your teeth. Professional-grade treatments are better than anything you’ll find in the oral health aisle at the grocery store. Other procedures we offer include porcelain veneers and dental implants. To learn more, call Hereford Dental Health in Monkton for a cosmetic dental consultation. Some transformations are completed in just one visit!